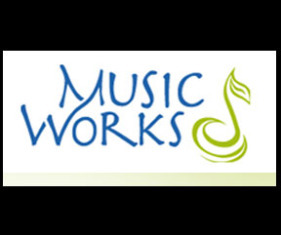 Music Works Northwest is a non-profit community music school offering music lessons, music therapy and performance experiences for all ages, conveniently located minutes from downtown Seattle and downtown Bellevue. Our mission is to enrich the quality of life for children of all ages through accessible music education and experiences. Our teachers, music therapists and ensemble directors have strong academic credentials and are among the Puget Sound region’s most active and sought after performers. Faculty members have undergraduate and graduate degrees from prestigious institutions including the Juilliard School, the Eastman School of Music, Berklee College of Music, the University of North Texas, the Mozarteum Academy, the Moscow State Conservatory, and the University of Washington. Their varied performance experience includes work with the Seattle Symphony, Seattle Opera, Pacific Northwest Ballet Orchestra, Ray Charles, Frank Sinatra, Natalie Cole, the San Francisco Symphony, and the Boston Pops. We have taken great care in selecting our faculty. We use the same background check standards that guide our public schools. Our faculty members are dedicated working professionals from all over the world.